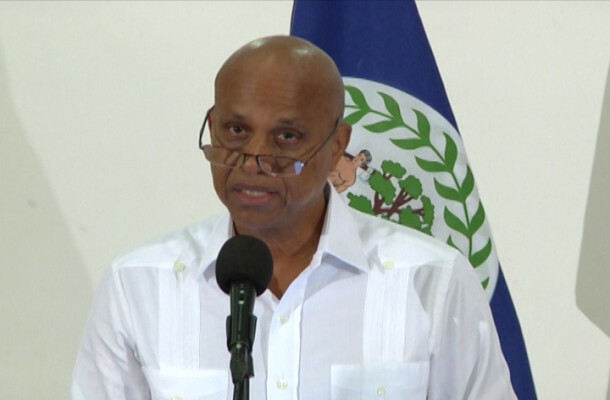 After a three hour press conference on Thursday, September 1st, Prime Minister Dean Barrow announced that the Government of Belize (GOB) will commission an investigation into the various irregularities revealed in the recent audit of the Immigration Department. Such findings in the extensive report presented by Auditor General Dorothy Bradley detail multiple cases of fraud in the Immigration and Nationality Department. In regards to the audit report, Barrow admitted that the Government acknowledges the majority of the findings which cited that there were major procedural errors and even wrong doing. But he also pointed out that there were major discrepancies overlooked in the report. “It never gave the Department the opportunity to respond to and clear up allegations which had legitimate explanations, and it did not follow the rules of natural justice in naming people as guilty of wrong doing without ever giving them a chance to answer or even comment on the accusations,” said Barrow. He went on to explain that due to the natural justice violations, it would be difficult for any criminal sanctions to be levied, because wrong doers will take immediate legal action to have the cases thrown out due to rights violations. However, he added that there should still be efforts made at pursuing criminal sanctions for those wrongdoers. Another important issue that Barrow mentioned was the possibility of Belize signing on to the United Nation’s Convention Against Corruption (UNCAC). In the next week, there will be the establishment of a working group with the Belize Chamber of Commerce and Industry (BCCI), to discuss the ramification of signing the convention, the reconfiguration of the Public Accounts Committee, and the Integrity Commission. Prime Minister Barrow stated that, the new Public Accounts Committee will be comprised of six representatives for the government, three for the social partners, and two for the opposition, one of whom will chair the Public Accounts Committee. It was also agreed between GOB and the BCCI that they will continue working together on the Integrity Commission since there is a legal requirement for a chartered accountant to be on the Commission. 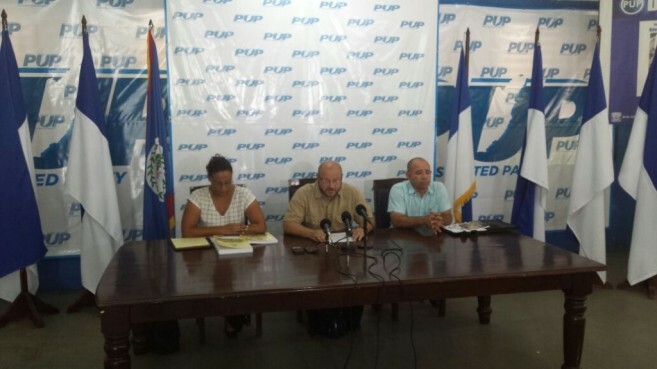 Following the press conference, the People’s United Party (PUP) issued a press release expressing their discomfort based on the decisions taken by the Prime Minister. The creation of a committee of the National Assembly instead of the Senate has prompted strong opposition response from the PUP. “The reality is that the Prime Minister is making a half-hearted attempt to stop the public haemorrhaging over the scathing Auditor General audits, which implicates thirteen present and former cabinet ministers. Also, there is nothing to suggest to us that the official cover up will discontinue,” end quote. The PUP also finds it offensive that Senator Godwin Hulse, the substantive Minister of Immigration, refused to recuse himself from the vote on whether the Senate should appoint a select committee on the matter. In the meantime, Barrow stated that his administration accepted the findings of the audit report and he offered an apology for the irregularities. The report exposed rampant corruption within the Department of Immigration, pointing at thirteen ministers, past and present, including senior officers. Also, politically connected persons were identified in the investigation which covered a span of time between 2011 and 2013, in which over 50,000 immigration documents were fraudulently issued.